We also love Christmas holiday. And we made new free Christmas screensaver for you! 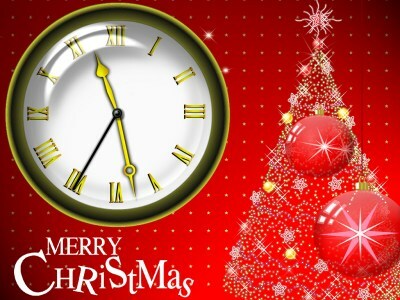 Christmas tree with classic analog clock will surely impress you and your friends. Enjoy smooth and realistic animation: rotating baloons, flashing stars, decorated tree and other effects. Gather your family to enjoy the holiday. 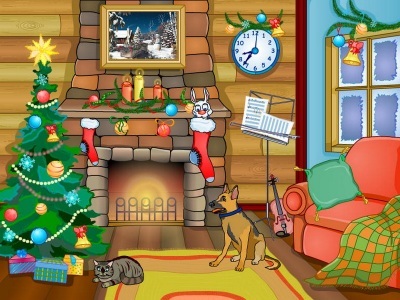 Download and install holiday screensaver absolutely free! Lunar Solitude Screensaver will bring you to tropical islands, to warm tropical seas. 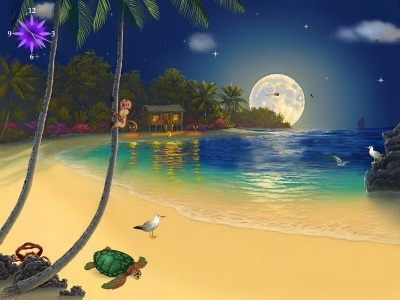 This screensaver will decorate your desktop with unique charm of the tropical night and its inhabitants: seagulls, tropical birds, giant sea turtle, crab, monkey, climbing on the trunk of palm trees, dolphins, jumping out of water and other. Take a wonderful trip to a coral island, without leaving home. Download free moon screensaver! The bosom of the sea hides deep secrets. Underwater sea creatures keep these secrets and unwillingly open them to strange visitors. 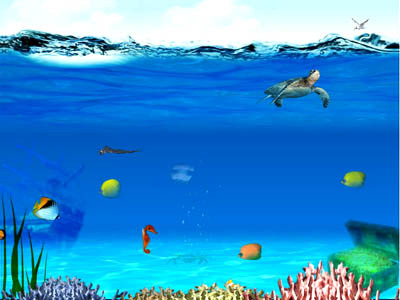 Install aquarium screensaver and reveal sea mystery, deep into the depth. Fish, crabs, horsefish and sea turtles will guide you to secret world. Download free aquarium screensaver now! Pets, dogs cage, birds and butterflies floating in the sky, all these indispensable attributes of rural life will decorate your computer if you download and install beautiful and peaceful screensaver. What can be better than a wonderful vacation in the summer countryside? 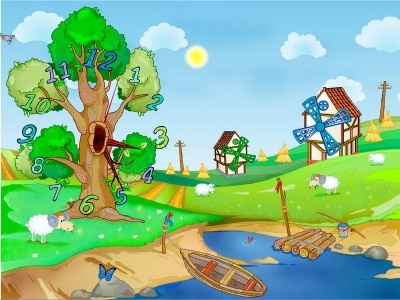 Central detail and decoration of this screen saver is analog clock, originally located on the background of a windmill. 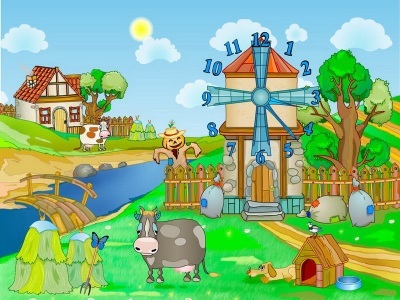 Download farm clock screensaver and enjoy summer scenes absolutely free! Turn your screen into fresh and colorful summer grass. Enjoy fly of the butterflies, insects and birds, realistic motion of the other animals. Wonderful nature characters will impress you during three scenes. This nature screensaver helps you to relax after work. Download free summer meadows screensaver! 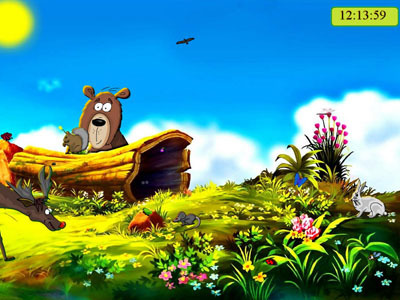 This dreamy spring screensaver shows beautiful animated scenes of springtime. Spring is a magnificent time when nature appears in its pristine beauty. The freshness of its pure colors and brightness have always enchanted people. 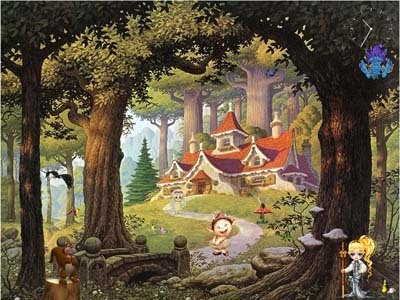 Early spring funny animals, amusing forest guests and colorful butterflies are glad spring. This nature screensaver will put the everlasting spring on your desktop. Let it warm you up all year round, enjoy the springtime! If you install this wonderful screensaver with unique analog clock you will get a lot of joy. 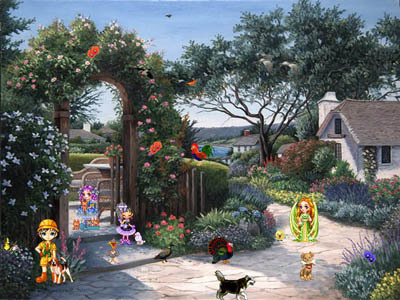 Take a look at the spring scenery, butterflies, flying birds, sheeps on green grass. And of course fish in the pond and blue blue sky with clouds. Add some features to your desktop using our free clock screensaver. Get the peace! A very beautiful aquaworld screensaver which helps you to relax. 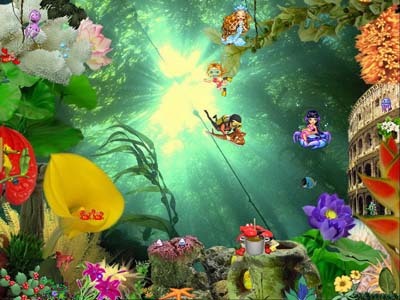 This multiscene animated screensaver includes species of fish, uderwater creatures, natural rocks and plants. It turns your desktop into a porthole for viewing charming underwater scenes. Download free underwater screensaver!